I-Doser is dedicated to providing experiences to our users no matter their preference (sexual, physical spiritual and otherwise). We very often get requests for doses that lean towards the darker side of life, and we have certainly provided some of those experiences in the past, we have never gone this deep. 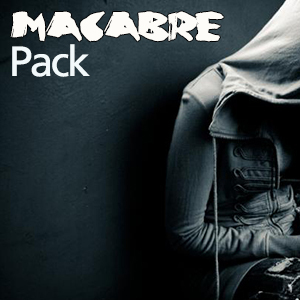 We decided to collect some of our darkest simulations into a singular entity we call the Macabre Pack. While not for everyone, feeling the profound obscurity of doses like Twilight, Suicide, NearDeath (or NDE), and Death should be judged as seeing a dark that gives contrast to the light. For those true explorers who have asked for these experiences again and again, we offer you our best-try darkest simulations, and ask that you view the light as much as you do the dark. 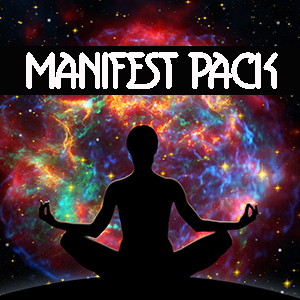 The Manifest Pack is for those that wish to refine that manifestation powers of attraction. Be it a refinement on the Law of Attraction directly, a expression of abundance, tuning your mind to allow for powerful magnetism, or the simple lure of money â€“ the Manifest Pack contains 5 doses to make sure you get everything you want by visualizing, desiring, and manifesting abundance, power, money â€“ or anything you crave. Mantra / Love, Calm, Enhance (Strong) / 60 Minutes / A mantra is a sacred utterance, a numinous sound, a syllable, word or phonemes, or group of words in believed by practitioners to have psychological and spiritual powers. 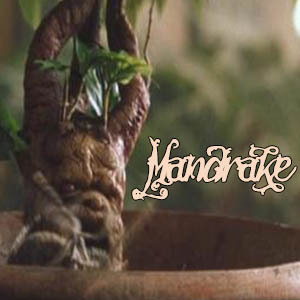 Mantra meditation helps to induce an altered state of consciousness through the repeating of miracle, spiritual, and mind enhancing tones and beats. Perfect for repeating your own personal mantra to, or keep a clear mind and let the mantra define your state of consciousness. 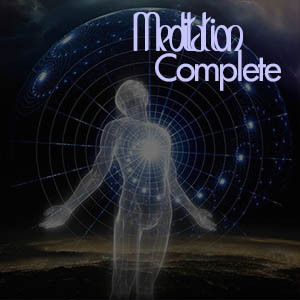 Meditation Complete / Enhance Spirit (Moderate) / 45 Minutes / Meditation Complete is part of our advanced line of meditation enhancing doses that should be a must-have for anyone who currently meditates, does yoga or is looking into getting into meditation and related activities. This dose is intended to be used at the end of meditation and in conjunction with other meditation doses. Complete seals in the end of your meditation session, strengthens spiritual and physical bonds you made in that session, and attempts to elongate the positive benefits generally obtained from meditation. The end result could mean more meaningful and profound sittings, and longer lasting results. 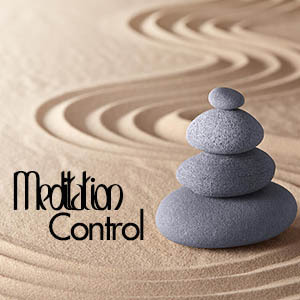 Meditation Control / Enhance Spirit (Moderate) / 45 Minutes / Meditation Control is part of our advanced line of meditation enhancing doses that should be a must-have for anyone who currently meditates, does yoga or is looking into getting into meditation and related activities. Intended to be used with other meditation doses, Meditative Control tried to do just one thing really well: keep your session completely controlled and without drift. A key to great, truly life-altering meditation is the ability to the mind centered when it really wants to roll in one direction or another. This dose is a great starter dose to a session or when slipstreamed first with other meditation doses, and has uses even outside of meditation to remain centered and focused. 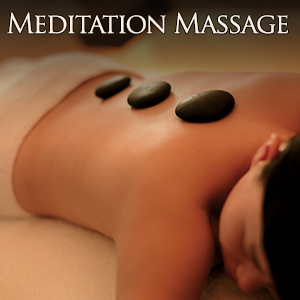 Meditation Massage / Spirit Calm Enhance (Moderate) / 60 Minutes / This virtual meditation AND massage is a mind and body alignment and tuner designed from the ground up to be a full single session for both your body and brain. Best used when combined with ambient moonscapes (premium version), we targets relations sensors in a tonal hum with white carrier to perfectly clear and cleanse your mind. Simulated tingle, pinpoints and full body sensations may occur simultaneously to dissipating erratic thoughts over the duration of an hour. Just meditation music alone cannot compare to the power of binaurals when properly used to target your entire being. Meditation Pacify / Enhance Spirit (Moderate) / 45 Minutes / Meditation Pacify is part of our advanced line of meditation enhancing doses that should be a must-have for anyone who currently meditates, does yoga or is looking into getting into meditation and related activities. 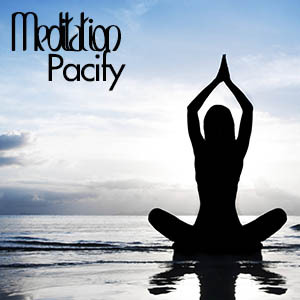 Intended to be used with other meditation doses, Meditative Pacify is intended to create fewer thoughts during a session, but have those fewer thoughts be more powerful and steeped in meaning â€“ we call them life aura drifts, and happen during proper meditation. An offshoot thought and it could chain-reaction a session. The result is a less peaceful state, or complete breakdown of meditation. Pacify could help assist those with wandering minds, or those looking to reign-in influential thoughts. Meditation is on the rise at an astounding rate. Be it our constant-connected lives or the additional stress the world brings, people all over the world have been achieving amazing results with meditation. For those that do, you know meditation is always better with music. Well, we ask you to throw away the tired spa and rainstorm CDs and truly enhance your meditation with binaurals. 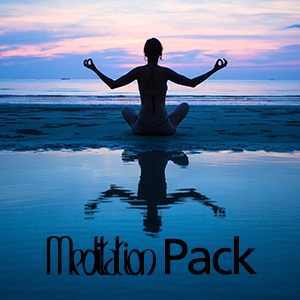 This pack contains meditation enhancing sequences that can help you control and achieve better results in every stage of your meditation from Meditative Placement, Control, Pacification, and Completion. If you are either a seasoned user of meditation or yogi, or a newcomer, that pack of refined doses may enhance the results you could already be seeing with proper meditation.